Iowa Governor Terry Branstad, (second from left) guides Xi Jinping (third from left) on a tour of an Iowa farm during the Chinese leader's latest visit to the state. In response, Lu Kang of China’s Foreign Ministry called Branstad “an old friend of the Chinese people,” welcoming his greater role in improving relations between the two countries. Branstad has a longstanding friendship with the Chinese president that began in 1985 when Xi made his first trip to Iowa as an agriculture officer from China’s Hebei province. Through a Sister States program led by Sarah Dunkerton Lande, 60BA, 83MBA, Xi and a Chinese delegation visited Muscatine and met with Branstad in Des Moines. Xi was so impressed with Iowa’s hospitality that he returned in 2012—just before assuming the presidency of China. 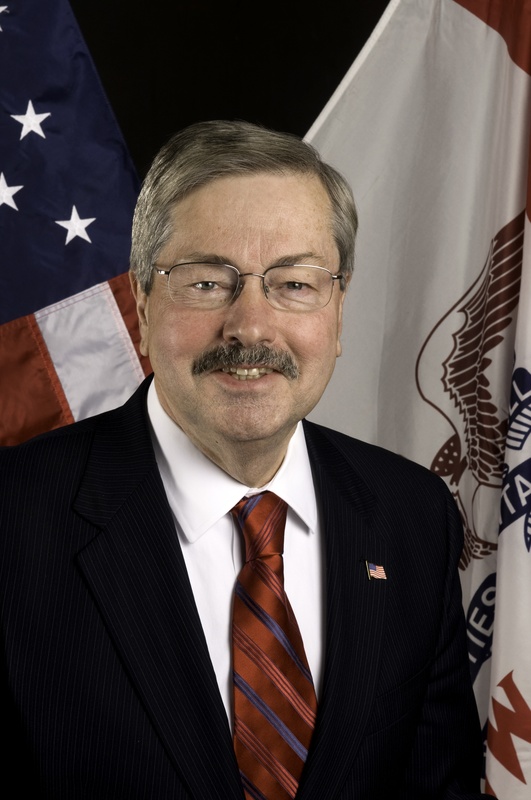 This past November, Branstad made his seventh visit to China to meet the country’s agriculture minister and other key leaders. As the longest-serving governor in American history, he has helped create a growing market in China for Iowa’s corn, soybeans, pork, and other agricultural goods—a mission he plans to continue on the national level as ambassador.